We’re glad to welcome a first participant of our “History. Art. Tradition” program. Nazar Chornoshlychnyk (Nazar Bozhynsky in his everyday life) is lecturer at Urban Studies Department of University of Construction and Architecture, however what made him known is his love to kobzardom – Ukrainian poetic and musical tradition of wandering bards, that can remind one of Scandinavian skaldic heritage or classic medieval ballads, but done in quite special Ukrainian way. His true mission is to transmit the traditions of Ukrainian music culture to nowadays. 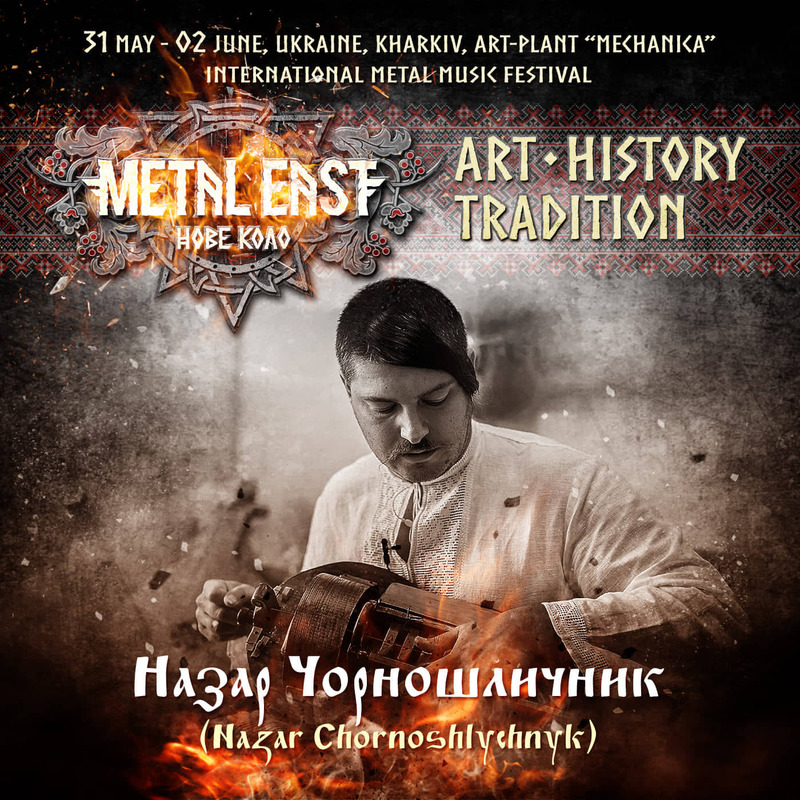 As a part of festival program he will deliver a lecture about the history of traditional music instruments and master class in their making and playing technique. You will be able to hear the voice of music kept through centuries.